Why are so many bikini competitors switching over to a vegetarian meal plan? One simple reason. It’s the superior competition diet. When they follow a plant-based diet, competitors stay leaner all year round and don’t have to cut as much for competition. Not only does this give athletes a competitive edge, but following the practices of vegan bodybuilding and plant-based fitness is a way to become a champion. A well-planned vegetarian diet is great for competitions and it naturally boosts your energy levels. It also keeps your weight under control and ensures that wild mood swings stay in check. Unlike regular fitness competitions that involve both athletic and posing routines, female bikini competitions typically consist of a swimsuit (model posing) routine. Unlike bodybuilding competitions, fitness and bikini competitions focus more on overall shape, symmetry, and conditioning instead of muscularity and extreme leanness. This “newer” divisions of bodybuilding gained popularity in the 1980s when interest in traditional female bodybuilding lost momentum. The foods you put into your body play a tremendous role in how you will look on stage and stand up against your competitors. Contrary to popular opinion of steak eating fitness competitors, vegetarians and vegans have an advantage when it comes to competition dieting. This article will take the guesswork out of the bikini competition diet and break down the many aspects of competition prep to give you a competitive edge. Want to Become Stage-Ready Faster? A Vegetarian diet can help you lose weight. Vegetarian bikini competitors naturally stay leaner than their meat-eating friends. 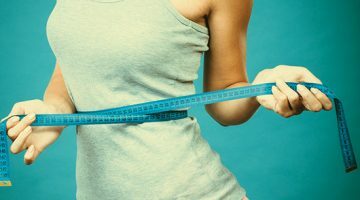 According to a recent study published in the Journal of the Academy of Nutrition and Dietetics, people who don’t eat meat have a lower average BMI than those who do. The study also pointed out that vegans have a much lower obesity rate (9.4 percent) compared to meat-eaters (33.3 percent). Another study found that people can lose more weight when they follow a vegetarian diet instead of one that includes meat. Plant-based diets can also aid digestion, which is crucial for bikini competitors making dietary changes. “Clean eating” is defined by the rejection of processed, chemically-enhanced foods in favor of whole, natural ones. Every adult who cares about her health should pay attention to what she eats, but bikini competitors need to pay even closer attention. Natural, unprocessed foods are the #1 staple of healthy plant-based diets, which means that sticking to clean eating is easier. A diet filled with fresh fruits and vegetables is naturally rich in nutrients, including fiber. Fiber helps you feel full longer and promotes regular bowel movements. Interestingly, healthy fats, like those found in vegetarian foods, help keep hormones regulated. Hormones play a role in hunger and weight control, and hormone balance is essential for women fitness competitors. Good sources of plant-based healthy fats include organic coconut oil, hemp oil, and borage oil. 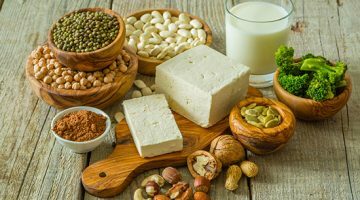 So many meatless foods like beans, grains, nuts, and seeds contain protein, making it easy for you to meet your daily protein requirements on a plant-based diet. Too many vegetables leaving you feeling funny? You can reduce bloating and gas on a vegetarian diet, cook cruciferous vegetables instead of eating them raw. You can also make broccoli, cauliflower, and Brussels sprouts easier to digest by mixing them up in a blender or food processor. Meat-free diets have been proven to boost mental health. As any bikini competitor knows, getting mentally prepared is half the battle. Preparing for a competition takes its toll, and vegetarian diets can restore an overall sense of wellbeing. Research studies published in Nutrition Journal and Public Health Nutrition have revealed that vegetarians exhibit significantly better mood states and experience fewer negative emotions than omnivores. Linda Dame MEd, MSW RSW shared that cutting animal products out of your diet can reduce pain and anxiety, paving the way for more peace and joy. Successful bikini competitors must remain confident, motivated, and passionate, and vegetarian foods can help give you a mental boost when you need it most. Bikini competitors strive to look fit, not ripped. Competitors are scored on their proportions, symmetry, shape, balance, skin tone, and stage presence. But there is a clear distinction between appearing fit and being fit. In fact, most fitness models and competitors aren’t at peak health when they compete. According to professional bodybuilder Lee Apperson, getting lean is an art form, and starving yourself is the worst idea possible. Even so, vegan bikini competitors frequently engage in workouts that are too intense for the number of calories they consume. The final days before show time tend to be the unhealthiest ones. After many competitors reach their “peak” (i.e. target weight and desired shape), they find it difficult to maintain it for more than a few days. Some vegan bikini competitors are willing to take dangerous health risks to enhance their aesthetics. Furthermore, the techniques and dietary manipulations typically required to “peak” are unnatural, unrealistic, and unsustainable in the long run. Although plant-based diets have many advantages, vegan bikini competitors should be especially careful of certain nutritional deficiencies. Professional natural bodybuilder Layne Norton recommends losing 1 to 1.5 pounds of weight per week to retain your competition-level muscle mass. If you have 20 or 25 pounds to lose, you probably won’t be able to lose it all in 12 weeks and still retain your lean muscle mass. Start dieting as early as possible before your competition so that you can move at a safe and efficient pace. Aesthetics are a key reason that many people turn to vegetarianism in the first place, and that extends beyond personal sensitivities and respect for all life. We also have a greater appreciation of beauty, nature, and art in the foods we eat and how our bodies look and perform. What Do These Healthy Internal Benefits Mean for External Aesthetics? Vegetarian diets revolve around raw fruits and vegetables, whole grain carbohydrates, and natural sources of protein. Coincidentally, these are also the types of foods used to get your body ready for competition. This means that competitors who already maintain a vegetarian diet typically have less weight (body fat) to lose than their meat-eating counterparts. 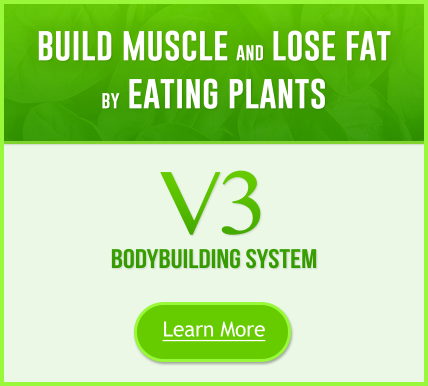 Vegetarian bodybuilders also naturally have lower body mass indexes, blood pressure, and levels of cholesterol, as well as less risk of heart disease, metabolic syndrome, dementia, and Type-2 diabetes. IFBB Bikini Pro Marzia Prince is one of many vegan bodybuilders who has spoken publicly about how much better she looks and feels since going vegan. 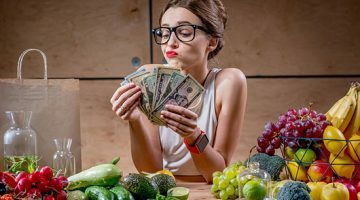 Vegetarian and vegan competitors tend to pay more consistent attention to the nutrients in their diets to make sure they are consuming what their bodies need throughout the year. Almost all bikini competitors need to shed a few pounds in certain places, and your metabolism plays a key role in making this happen. Metabolism is affected by genetics and your lifestyle habits, but there are many natural ways to speed it up. Spicy foods are known to boost metabolism, and a study published in the Journal of Nutrition and Metabolism revealed that natural chemicals called capsinoids increase the amount of heat and energy that you produce and promote physical activity. Other general tips to keep your metabolism working at its peak all day long include getting seven to eight hours of sleep per night, sleeping in a cool room (66 degrees Fahrenheit), drinking tea, and reducing stress. Most competitors swear by the concept of six to seven small meals per day, but how and when you eat those meals makes a big difference in how your body processes food. Space out each meal about three hours apart, and eat the last one at least an hour or two before bed. Multi-sourced vegan protein shakes should also be an important part of your daily meal routine. Make sure that your breakfast contains a small serving of protein, a serving of vegetables, and a serving of complex carbohydrates. Your lunch should consist of a medium serving of protein and two to three servings of vegetables. Dinner should have a generous serving of protein, two to three servings of vegetables and a serving of fat. You can structure your meals around these “big three” and work smaller meals in around them. For example, if you have a caloric goal of 1,800 calories per day, try sticking to 300 calories per meal and assess your energy levels throughout the day. One you figure out your target number of calories per day, keep a food journal to document your meals and make changes to your plan based on what’s working and what isn’t. The bikini competitor meal plan and prep saves your sanity … and money. “I used to be on a strict competition diet but now being vegan, I eat organic plant-based foods and don’t feel like I am on a diet. I listen to my body. I am more in tune with my body now, than I have ever been. “Before I became a vegan competitor, buying meat, eggs, and fish was getting too pricey. Not only was it expensive, but my digestion was also getting worse. Since going vegan, my digestion has improved, I’ve saved money, and cooking has become optional. Planning and preparing meals can feel like a big hassle, especially if you’re new to the world of competition prep. It’s easy to make excuses about not knowing what to buy, not having enough time to shop, or that healthy food is just too expensive. However, the best way to get the results you crave is to plan ahead. Most fitness professionals recommend starting your show prep diet and supplement schedule at least 12 to 14 weeks before the competition. In most circumstances, muscle needs to be gained, fat needs to be lost, and your metabolism needs to be adjusted. To increase your chances of success, plan to start your new diet at least three to five months in advance of your competition date. To start, take the time to schedule grocery shopping into your day. Stick to your list, and buy nothing more and nothing less. Choose a convenient day of the week to prepare several meals worth of vegetables and protein in advance, and organize your Tupperware containers in the refrigerator so they’re easy to grab in a hurry. Giving up the foods you love can be hard, which is why many competitors allow themselves an occasional chance to cheat. As a general rule, bikini competitors can choose one meal per week to be a cheat meal in the early days of training for a competition. Some trainers promote the occasional cheat meal as a healthy balance to stabilize blood sugar levels. Cheat meals are great for morale, but there are certain rules you should remember if you’re serious about competing. To aggressively lose fat, you’ll need to strategically schedule your cheat meals and cut them off entirely when you’re two to three weeks away from your competition. Keep in mind that cheat meals need to be carefully controlled. Excessive and ill-timed cheat meals don’t just take a toll on your physique, they can affect you mentally, too. Dieters often report feelings of shame, guilt, and self-hate after cheat meals – all emotions that have no place in competition prep. Cheat meals can also make it more difficult to resist cravings and transition back into a training diet. Carefully assess your cravings, habits, and motivation before deciding on a cheat meal structure that works for you. Competing doesn’t just occupy your time; it impacts your daily habits and routine. Since our routines are shared with the friends and family we care about, and competitors often feel a strain on their personal relationships during training. In the world of competition fitness, there’s always a competitive season (with sometimes up to 16 weeks of prep time) and an off-season to bulk up, add mass, and enjoy a wider variety of foods. Pre-competition diets are designed to cut body fat and focus on eating clean foods. For the best results, you can follow these tips. Eat every three hours to increase your metabolic rate. Decrease carbs without cutting calories. Do aerobic workouts twice daily to burn stubborn fat. Do cardio before eating carbs but after eating protein. Swap out potatoes and rice for more vegetables. Avoid processed food stripped of nutrients. However, the key to success for a bodybuilding or bikini competitor is to minimize the transformation your body must go through from one season to the next. A vegetarian diet can help bring stability to your diet so that it suffers less of a shock when you kick it into full performance mode. All of this translates into a more aesthetically pleasing body, a healthier year-round lifestyle, and a more competitive fitness career. Thinking of competing and want meal prep advice as a vegetarian? 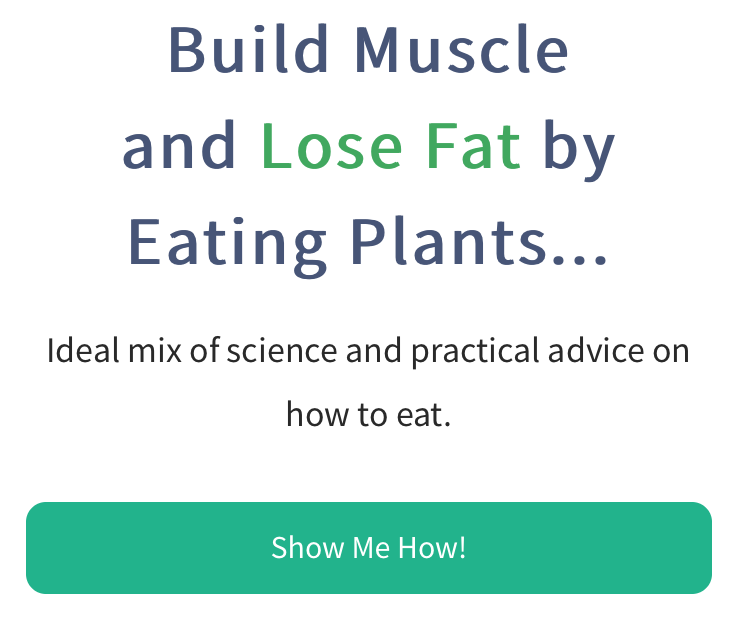 Check out our vegetarian bodybuilding program to learn exactly how to build lean muscle and tone up by eating plants. 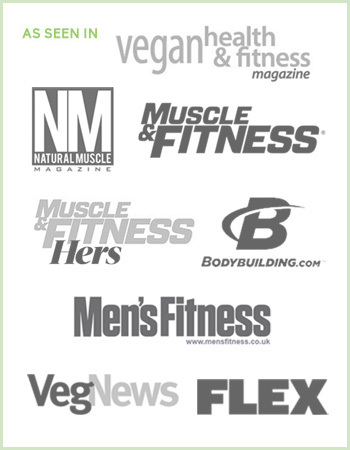 Many competitors have used the protein-rich recipes and meal plans for both vegetarian and vegan diets with great success. It’s a strong approach guaranteed to give you an edge for your next bikini competition.